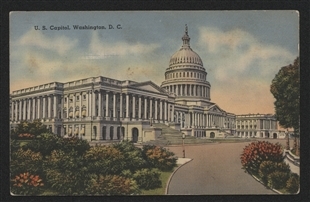 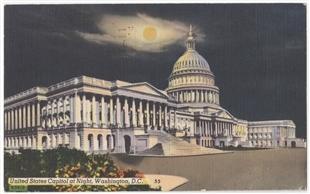 An image of the Capitol was always the right choice when sending a postcard home from a trip to Washington. 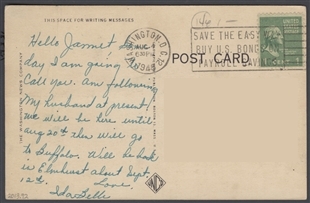 This example went to Elmhurst, Illinois, in 1948. 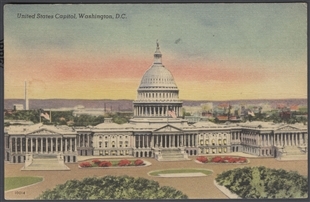 “Colorized” photos on a linen-like paper were popular in the middle of the 20th century, likely because they evoked the chromolithographs of an earlier time.